Public health is all around us. You just need to know what you’re looking for. By definition, public health is the science and art of protecting and improving the health of communities through education, promotion of healthy lifestyles, and research for disease and injury prevention. Simply put, public health is doing something that promotes the health of you and your community and keeps you all safe. If you think about it, you probably did something public health-ish today! Did you get 7-9 hours of sleep last night? Did you eat a healthy breakfast? Did you wash your hands today? Did you exercise? Did you look both ways before crossing the street? Did you use a condom? Did you drink 8 glasses of water? If you answered yes to any of these questions, then you indeed do something public health-ish today. 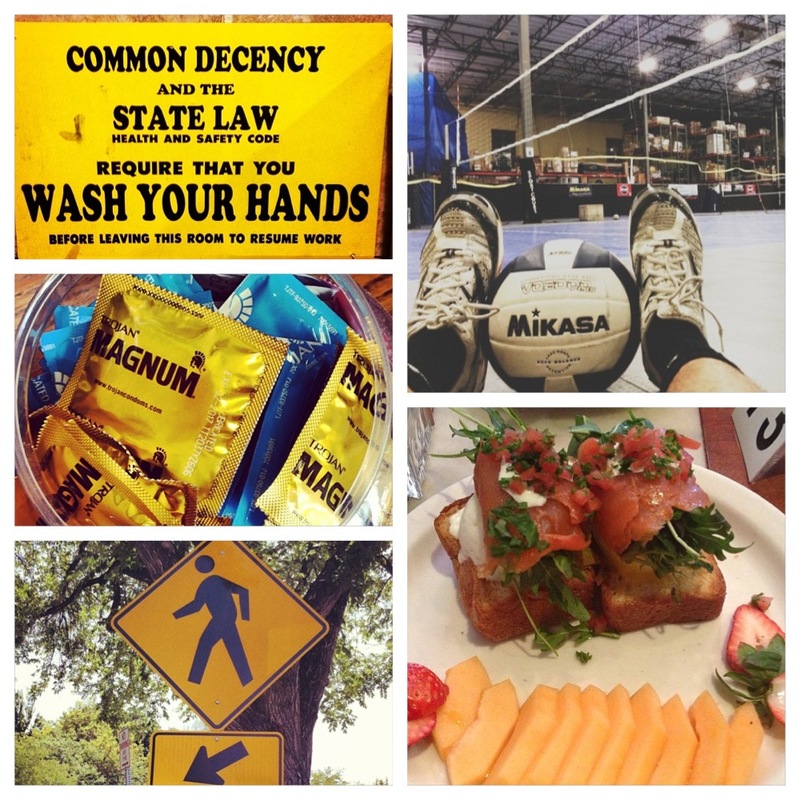 Public health…easy-peasy, right? All of those actions mentioned above help reduce your risk of disease or injury, whether it be a heart attack, diabetes, a concussion, or an STD. But we can’t forget about our community. It’s called PUBLIC health for a reason! We need to share the awesomeness of public health with everybody! So that they can lead healthy lives and we can have a healthy community! So how do we do that? We can getPHYT! And no, it’s not pronounced get-FIGHT. It’s get-FIT! To improve community health through education. To apply public health practice to everyday life. To raise public health awareness in the community. And what’s the best way to spread the word about anything? Facebook and Insta of course! 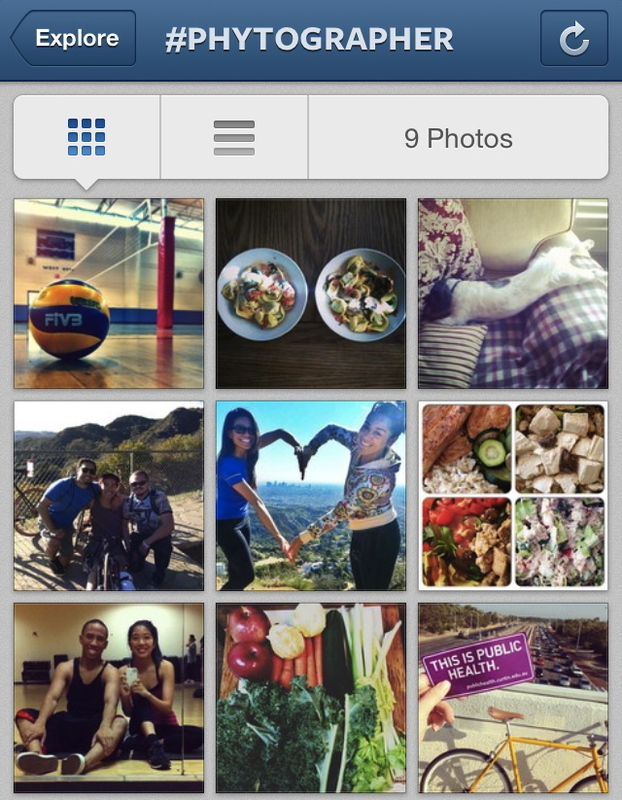 Add #getPHYT to your public health inspired insta photos and I’ll re-insta them and share them on getPHYT’s Facebook! Check out the awesome #PHYTography taken by some awesome #PHYTographers! 1. Playing volleyball not only tones and strengthens your arms and legs, but it is also good for your cardiovascular and respiratory systems. Improved circulation circulates more blood, oxygen, and nutrients throughout the body, improving the body’s functions and your overall health and well being. 2. Shrimp is rich in vitamin B-12 and iron, both of which are essential to a nutritious diet. Not having enough vitamin B-12 can lead to a deficiency, which can cause muscle weakness, vision problems, and psychiatric issues. If you don’t get enough iron in your diet, you could become anemic, which could lead to health issues such as fatigue and shortness of breath. In 6 ounces of shrimp, there are 2 mcg of vitamin B-12 and 4 mg of iron. 3. Yoga can help reduce stress, lower blood pressure, and improve heart function. Stress is linked to high blood pressure, blood clots, heart attacks, and heart failure. Namaste. 4. Hiking is a fun way to get some exercise while enjoying the great outdoors. 30 minutes or more of physical activity helps to improve your cardiovascular fitness, so your heart and lungs can more efficiently deliver oxygen to your working muscles. 5. Hiking and other forms of exercise help to build strong bones and slow bone loss. Along with adequate amounts of calcium and vitamin D, regular exercise can help prevent osteoporosis. Osteoporosis causes bones to become weak and brittle — so brittle that a fall or even mild stresses like bending over or coughing can cause a fracture. 6. The average American eats away from home four times a week, and studies have shown that can translate to putting on 8 extra pounds a year. Also, the food we make at home tends to be cheaper and healthier! Eating healthy at home starts with healthy food shopping! Check out this tip sheet! 7. Exercise can help prevent excess weight gain or help maintain weight loss. The more body fat that you have and the more you weigh, the more likely you are to develop coronary heart disease, high blood pressure, type 2 diabetes, gallstones, and breathing problems. 8. Eating (and drinking) a diet rich in vegetables and fruits as part of an overall healthy diet may reduce risk for heart disease, including heart attack and stroke. If you do try juicing, make only as much juice as you can drink at one time because fresh squeezed juice can quickly develop harmful bacteria. And when juicing, try to keep some of the pulp. Not only does it have healthy fiber, but it can help fill you up. 9. Riding a bike to work not only saves money, gas, and time, but it is also healthy. Cycling is a low impact sport that helps build stamina, burn calories, and improve coordination and balance. nice article! I play volleyball too. such a good work out.